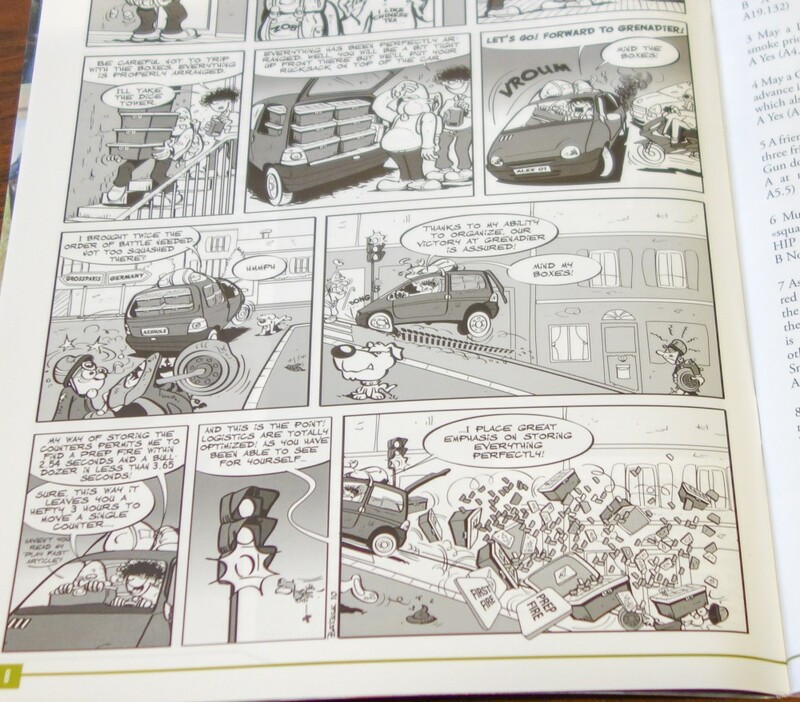 Le Franc Tireur reaches a baker’s dozen worth of issues with Le Franc Tireur No. 13 (LFT13), released in early 2013 and focusing on the East Front actions in the Crimea on the Black Sea. At 100 pages, LFT13 is the largest issue of the magazine yet published (and more than twice the length of ASL Journal #10, published around the same time). As with recent issues, it is printed in color on glossy paper. Though the magazine is from France, it is published in English when written by non-native speakers, but better than usual in this issue. The contents of LFT13 are quite varied. Among the “lesser” items are an ASL quiz, a cartoon, a photospread of ASLOK 2012, “10 Questions” for American ASLer Tim Hundsdorfer, a few brief wrap-ups and notices of some recent and future European ASL events, and more. The Crimean-themed content begins with an article by French ASLer Philippe Naud on the mountain units of the Romanian Army (concentrating on their role in the fighting in the Crimea), based on the handful of English-language works on the Romanian Army. 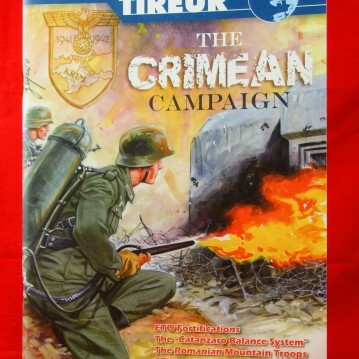 It continues with a second historical article, this time by Xavier Vitry, detailing the general history of the Crimean campaign, and ends with a third article, once more by Philippe Naud, relates the Soviets’ final liberation of the Crimea in the spring of 1944. The ASL-themed content begins with an interesting and lengthy (at more than 20 pages!) 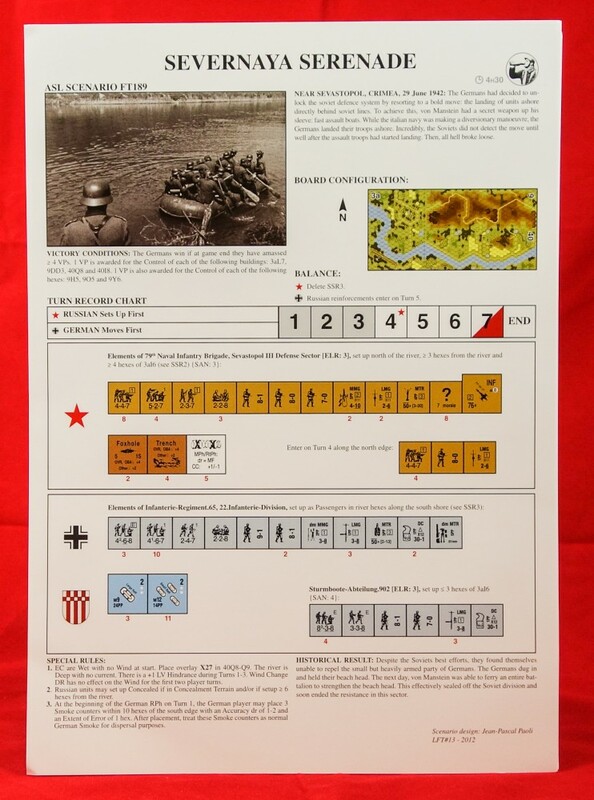 look at a very old ASL product: Heat of Battle’s Berlin: Red Vengeance (BRV), published in 1997 and for some time one of the more popular third party HASL products. The article, a collaboration by Australian ASLers Simon Rowe and Jean-Paul Spinelli, is a strategy guide for the BRV campaign game, making it the first CG strategy article published in any ASL publication in several years. 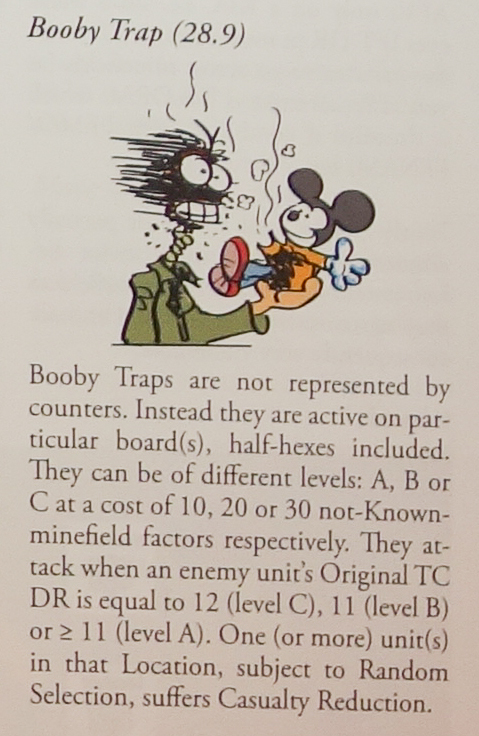 The authors analyze the terrain, the purchasable units, and the strategies each side need to employ. French ASLer Laurent Forest contributes the next article, a basic overview of ETO fortifications in ASL. It is probably useful mostly for new players. However, it also contains a couple of play aids, including a Clearance Fact Sheet, that might be useful for a larger audience. Italian ASLer Enrico Catanzaro provides the “Catanzaro Balance System,” or CBS, which may be interesting to those players interested in elaborate balancing systems like the Australian Balance System and others. Lastly, French ASLer Pierre Prod’homme provides readers with a “military analysis” of the scenario AP15 (Broken Bamboo). Overall, the article content is varied and decent. LFT13 comes with a half-board overlay featuring several large grain fields. It is used in two scenarios. The magazine, of course, comes with many scenarios, 17 all told, all on geomorphic mapboards. 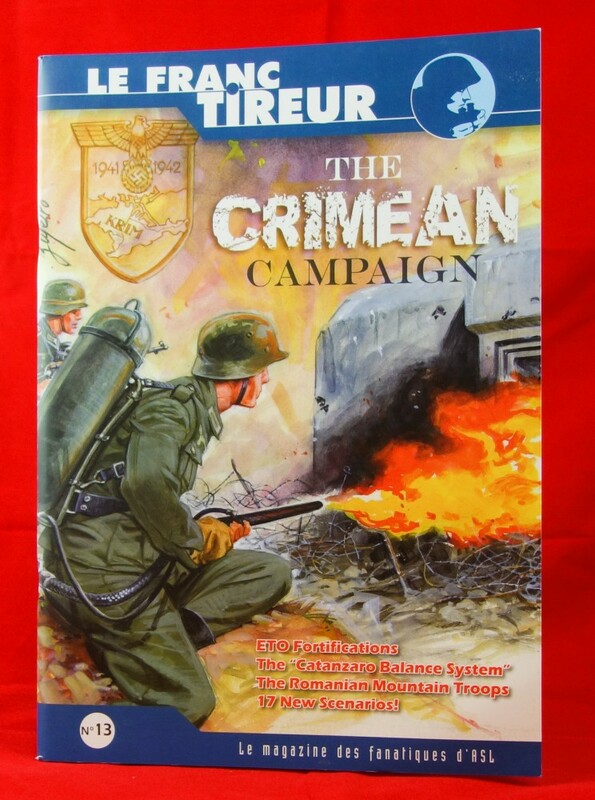 Twelve of the scenarios focus on the Crimean theme of LFT13, while another handful present widely-varied actions. The scenarios represent a pretty even mix of small, medium, and large-sized actions. Two of the scenarios use Air Support, while one scenario uses Night Rules. LFT13 is pretty OBA-heavy, with 7 of the included scenarios featuring OBA. FT189 (Severnaya Serenade) features a river crossing with assault boats. So too does FT192 (An Improvised Crossing). FT188 (NKVD Nut) uses units from Valor of the Guards. FT185 (StuG of War) is an all-armor scenario. FT195 (Repair Shop at Dangeul Castle) uses ASLSK Board x. 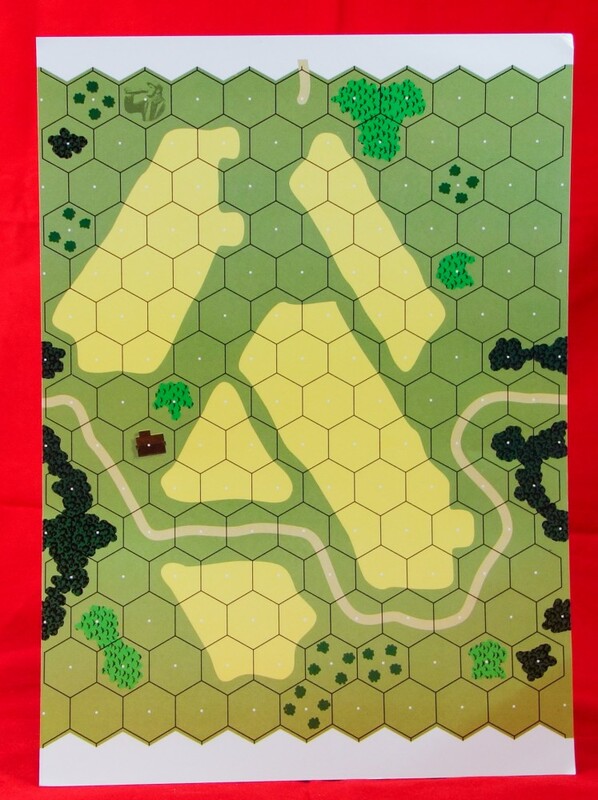 Often, LFT scenarios features third party mapboards and LFT13 is no exception. FT180 (First Soviet Lost) uses Boards BFP J from High Ground 2 and LFT2 from Le Franc Tireur #12 (or From the Cellar Pack 5). FT182 (Rolling Thunder) uses Board BFP N from Crucible of Steel. FT190 (The Land of Fire) uses Board LFT1 from Le Franc Tireur #11. Of the scenarios, several look rather interesting. FT194 (Forgotten Soldiers) pits a retreating Romanian column against various small Soviet forces meant to delay or attack it; both sides must move and fight. It is a timing scenario, which means that if it was not properly playtested, the timing (and thus balance) could be off, but if it turns out to be well playtested, it ought to be fun to play. FT193 (En Force!) depicts a powerful Romanian assault against Soviet defenders in urban terrain and with better armor. For those brave enough to try a Night river crossing, FT192 (An Improvised Crossing) looks interesting, especially as there aren’t enough “rafts” for all the Soviets to make it across in one go. FT190 (The Land of Fire) features a strong Romanian force, with plenty of toys, who have to cross a lot of nasty open ground held by Soviet defenders. FT183 (Partisan Stronghold) might be a good introductory scenario; it is a straightforward, small Partisan-Romanian action with no vehicles. FT181 (The Bet) is a rare ASL scenario featuring Norwegian units. In this smallish scenario, set in Norway (naturally enough), a company of Germans have to attack a small Norwegian force led by a 10-2 leader. An interesting SSR mandates that each player secretly bids the number of building/rubble hexes the German player must control by scenario end. The high bid “wins” the Germans and must capture that number of hexes to win. All in all, LFT13 looks like it offers a lot of play value.